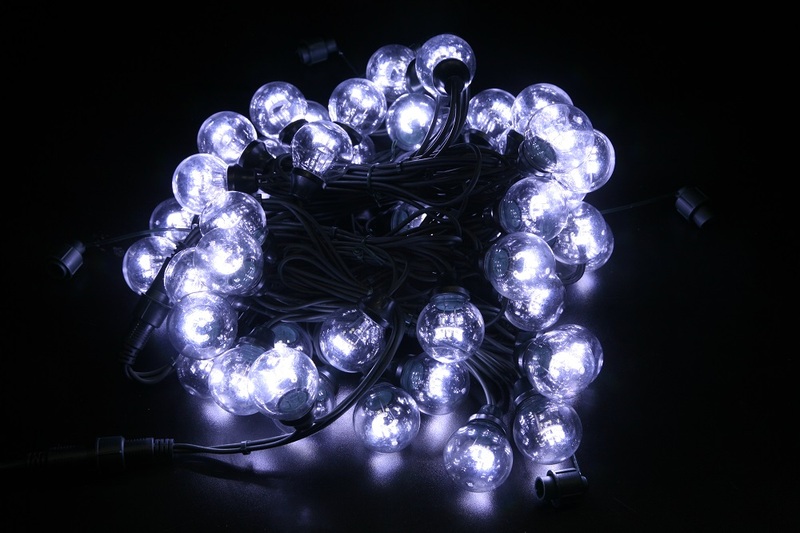 2014 New Design Galaxy Ball Light with 50 balls with 6 LEDS in each ball. White balls comes on a 10m rubber cable. This to a great item to attach to your house or wrap around a tree. This is similar to the balls that you see on Christmas movies on American houses. This is more of a commercial item but can be used for ordinary households. This item is making its world wide release exclusive to Festive Light Direct. Suitable for outdoor or indoor use. This item will be in stock in mid October 2014 Pre-order and save 15%.